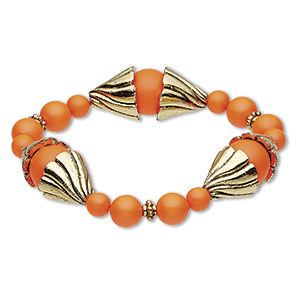 Bracelet, stretch, One of a Kind Jewelry, Swarovski® crystals / antique gold-plated pewter (tin-based alloy) / elastic, orange. Only one available. 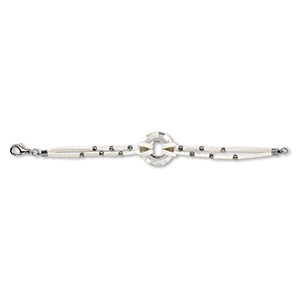 Bracelet, cuff, One of a Kind Jewelry, Swarovski® crystals and gunmetal-plated brass and "pewter" (zinc-based alloy), 6-1/2 inches. Only one available. 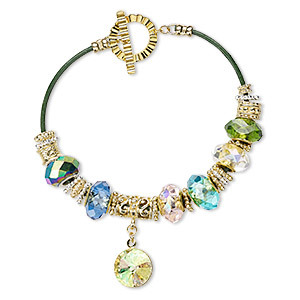 Bracelet, One of a Kind Jewelry, riverstone (dyed) / Swarovski® crystals / copper / nickel steel, multicolored, 7-1/2 inches with lobster claw clasp. Only one available. 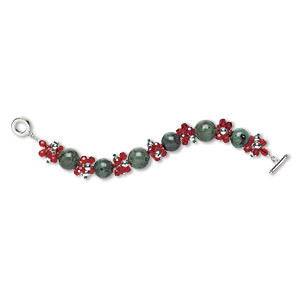 Bracelet, One of a Kind Jewelry, ceramic / glass / silver-plated brass, green / black / red, 7-1/4 inches with toggle clasp. Only one available. 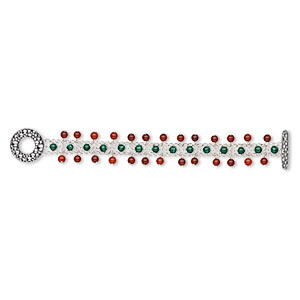 Bracelet, One of a Kind Jewelry, malachite (natural) / carnelian (dyed / heated) / sterling silver, 7 inches with toggle clasp. Only one available. 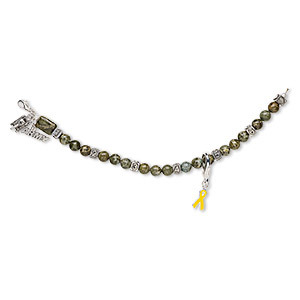 Bracelet, One of a Kind Jewelry, green brecciated jasper (natural) / antiqued pewter (tin-based alloy) / silver-plated aluminum / epoxy, yellow, 7-1/2 inches with lobster claw clasp. Only one available. 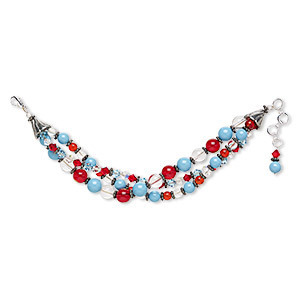 Bracelet, One of a Kind Jewelry, Swarovski® crystals / glass / silver-plated brass / antiqued pewter (tin-based alloy), blue / red / clear, 7-1/2 inches with 1/2 inch extender chain and lobster claw clasp. Only one available. 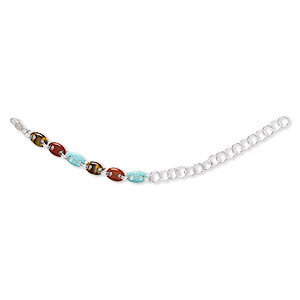 Bracelet, One of a Kind Jewelry, multi-gemstone (natural / dyed / stabilized) and sterling silver, multicolored, lobster claw clasp. Only one available. 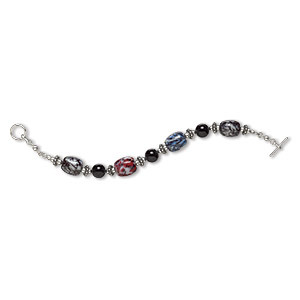 Bracelet, One of a Kind Jewelry, black onyx (dyed) / glass / sterling silver / silver-plated brass, multicolored, 7 inches with toggle clasp. Only one available. 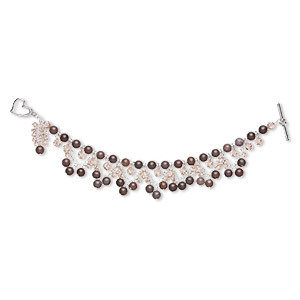 Bracelet, One of a Kind Jewelry, purple aventurine (natural) / Swarovski® crystals / sterling silver, pink, 7-1/2 inches with toggle clasp. Only one available. Bracelet, One of a Kind Jewelry, multi-gemstone (natural / coated / dyed) and sterling silver, yellow and orange, toggle clasp. Only one available. 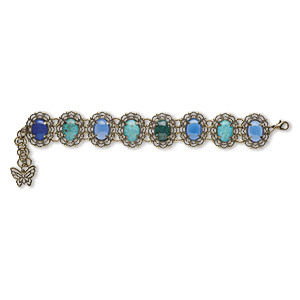 Bracelet, One of a Kind Jewelry, multi-gemstone (dyed / stabilized) / antique gold-plated brass / antique brass-plated steel, 8-1/2 inches with lobster claw clasp. Only one available. 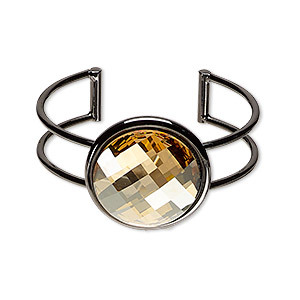 Bracelet, One of a Kind Jewelry, crystal / glass / leather (dyed) / silver- / gold-finished "pewter" (zinc-based alloy), multicolored, 14mm wide, 7-1/2 inches with toggle clasp. Only one available. 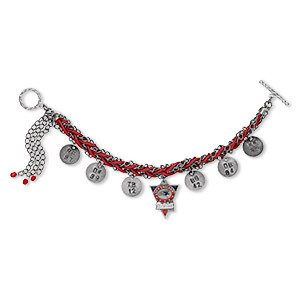 Bracelet, One of a Kind Jewelry, antique silver-plated brass / enamel / "pewter" (zinc-based alloy) / leather, red, 7 inches with toggle clasp. Only one available. 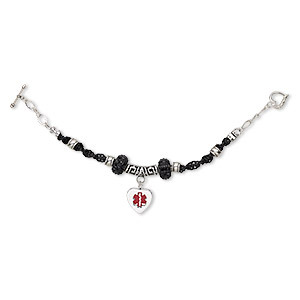 Bracelet, One of a Kind Jewelry, sterling silver / Swarovski® crystals / enamel / epoxy / stainless steel / leather, black and red, 7-1/2 inches with toggle clasp. Only one available. 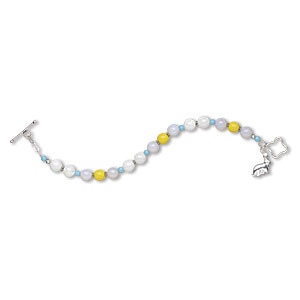 Bracelet, One of a Kind Jewelry, Czech glass druk / sea "opal" glass / mother-of-pearl shell (bleached) / sterling silver, light blue / white / yellow, 7 inches with toggle clasp. Only one available. 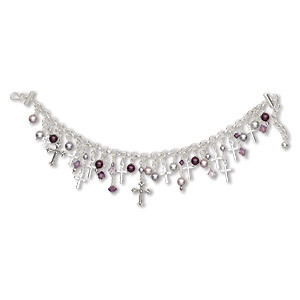 Bracelet, One of a Kind Jewelry, Swarovski® crystals / sterling silver / fine silver / cubic zirconia, purple, 7-1/2 inches with 1-inch extender chain and hook clasp. Only one available. 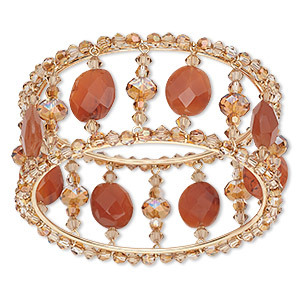 Bracelet, bangle, One of a Kind Jewelry, carnelian (dyed / heated) / Swarovski® crystals / 14Kt gold-filled, crystal copper and light Colorado topaz, 30mm wide, 6-1/2 inches. Only one available. 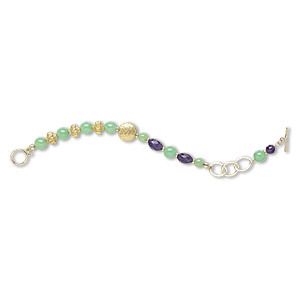 Bracelet, One of a Kind Jewelry, chrysoprase (natural) / amethyst (natural) / "vermeil" / 14Kt gold-filled, 6-1/2 inches with toggle clasp. Only one available. 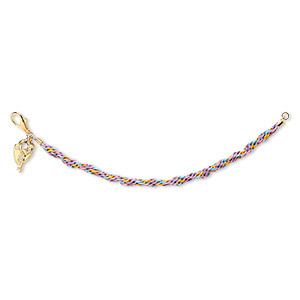 Bracelet, One of a Kind Jewelry, satin / gold-finished "pewter" (zinc-based alloy) / Czech crystal / gold-finished brass, multicolored, 6-1/2 inches with toggle clasp. Only one available. 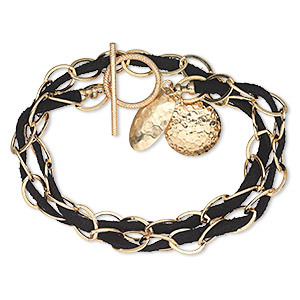 Bracelet, wrap, One of a Kind Jewelry, 12Kt gold-filled / 14Kt gold-filled / suede lace (dyed), black, 16-1/2 inches with toggle clasp. Only one available.